Hermione had managed to sit up on the floor and tried to talk to Parvati so she could stay alive. " Parvati, you will make through this" She said. " There must be something that can save you"
" There isn&apos;t. Not that I know of" Paravti said with a weak voice. " Besides, it takes very long time before you die"
" How long..? Hours?" Hermione said with a hint of hope in her voice, hoping it wouldn&apos;t be too late.
" Days, perhaps weeks. 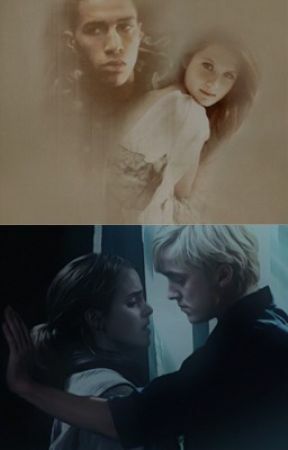 But believe me, when you have this poison inside yourself, all you wanna do is die"
Hermione silently prayed that Draco would be there any minute. She promised herself that after this, she would never let him go again.
" Just hold on, Parvati. You&apos;re not going to die, at least not like this "
Draco and Blaise hurried up on the second floor and tried to be as quiet as they could. " Do you know anything about a dungeon or something like that in this house, D? " Blaise asked. Draco thought about it for a minute. " Hm...I haven&apos;t really seen one, but they might have mentioned one...."
" What if they have all the other girls here too? You know, Chang and Patil?" " Maybe... 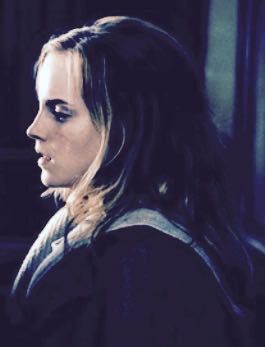 But I will find Hermione first "
Suddenly the door to the dungeons flew up and Hermione stared at the a dark figure. She saw a pair of dark eyes starinh right into hers. She could only think of Draco.